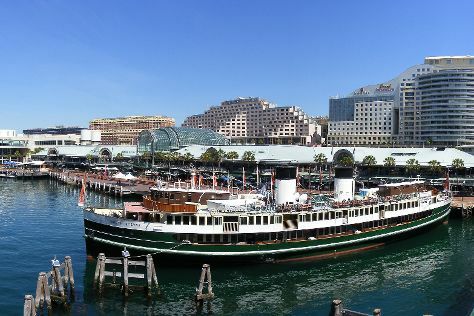 Start off your visit on the 20th (Sat): wander the streets of Darling Harbour, then catch a live performance at Sydney Opera House, and then take a stroll through The Rocks. On the 21st (Sun), you'll have a packed day of sightseeing: enjoy the sand and surf at Clovelly Beach, kick back and relax at Manly Beach, and then see some colorful creatures with a scuba or snorkeling tour. To find more things to do, maps, and other tourist information, read our Sydney visit planning tool . In April in Sydney, expect temperatures between 26°C during the day and 17°C at night. Cap off your sightseeing on the 21st (Sun) early enough to travel back home.